With an estimated figure of over two million people, the rate of albinism in Nigeria is ranked among the highest in the world. This makes them one of the largest vulnerable groups in the country today, says OAM Foundation. With his latest series, Angels Amongst Men, documentary photographer, Onafuwa – whose work is typically centred around social issues and other human interest stories – is exploring the lives of Nigerians with albinism. The series seeks to demystify albinism, featured the special character of the pale skinned, light haired, rose-coloured or blue eyes humans otherwise known as albinos. It also celebrates the Nigerians who have, in spite of the negativity associated with the colour of their skin, how they thrive in spite of the lack of melanin in their ‘African skin’ and have excelled. 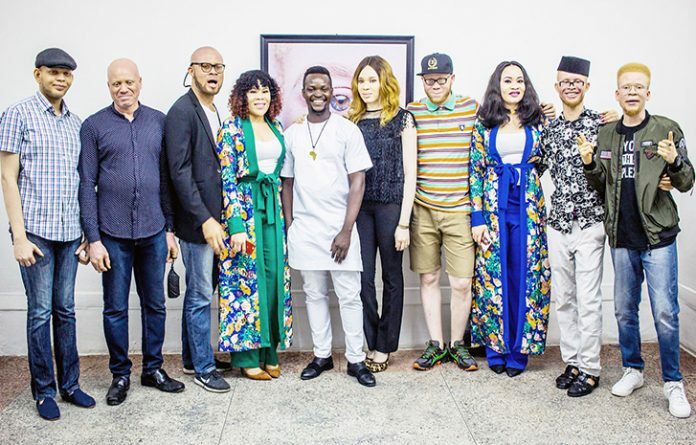 Onafuwa, a visual artist, who addressed journalists during the exhibition in Lagos, says it was his first solo exhibition, noting that albinism in Africa is associated with negative connotation, and in many parts of Africa, people living with albinism are often times faced with these societal issues. The visual artist further explains, the exhibition was strictly to expose, educate and inspire truth of the condition. “The title, Angels Amongst Men does not intend to fetishise or refer to people living with albinism as literal angels or as superior. The Co-Founder, Majaro, reveals that the art works will be shown in several other countries because albinism is in every part of the world. Onome also says OAM has reached over 2000 albinos since inception with education, scholarships, free sunscreens, Joint Admissions and Matriculation Board (JAMB) forms and pay lesson fees for albinos etc. She adds the Foundation will dole out another sets of scholarships, sunscreens to mark this year’s world Albinism, by June this year. Onome who is living with albinism advises albinos to learn to love themselves, despite stigma and discrimination against them. The climax of the event was the exhibition of 16 art works and a book called, ‘Angels Among Men,’ where some of the works not exhibited were captured. 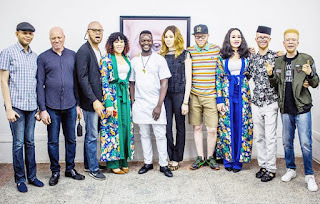 The exhibition series which took place at The White Space Lagos ran for a week.